Flash Sale: The Bow of Destiny! 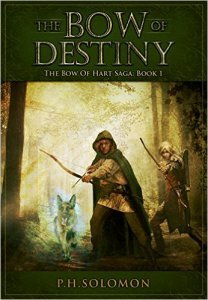 The Bow of Destiny is on Flash Sale! Only 99 Cents Thru 11/27! Athson has seen things that aren’t there and suffered fits since being tragically orphaned as a child at the hands of trolls and Corgren the mage.